There are 13 posts in this thread, and it has been viewed 7283 times. Karnov's Revenge. What do you think about it? Some of you might already know Karnov, Data East's fat east-Russian hero from the same-named Arcade game from 1987. Besides in that title he also appeared in many other games like Bad Dudes VS. Dragonninjas or even as background cameo in Street Hoops. 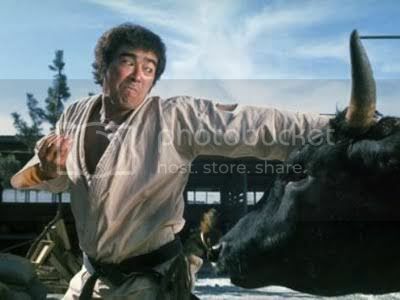 But in the Fighter's History series he again played a significant role, this time as villain. 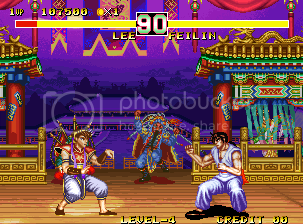 The Fighter's History series, more known due to the infamous copyright infringment accusation by Capcom USA, began in 1993 with Fighter's History on Data East's own Arcade hardware ARM6. One year later, Data East decided to release a sequel on SNK's popular Neo Geo, reducing the 6 button-layout to just 4 buttons. 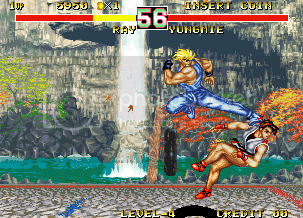 The final result was Karnov's Revenge, also known as Fighter's History Dynamite in Japan. If you are interested in participating at a High Score Challenge, just let Priest know. He will immediately arrange one if any significant interest is around. Fighter's History Dynamite, also titled Karnov's Revenge in certain markets, was released for the arcades March 17, 1994. All eleven fighters from the previous game return (including the bosses Clown and Karnov, who are now playable) and are joined by two new characters: Yungmie, a female Tae Kwon Do master from Korea, and Zazie, a Karate master from Kenya, for a total of 13 characters. Karnov is the only returning character who was given entirely new sprites. 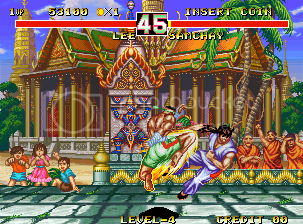 Most of the returning characters were given new special techniques (with a few exceptions), including hidden techniques which are not listed on the instruction card (the manual for the home version hints of their inclusion). 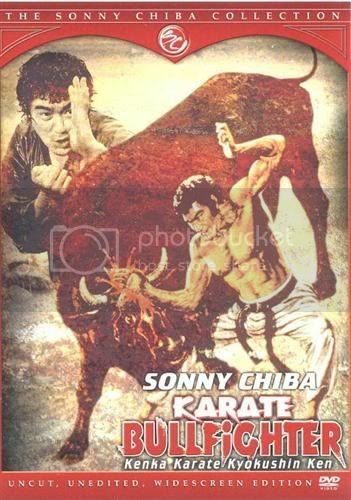 The Bull that appeared in the bonus rounds in Karate Champ appears in this game as a secret boss if the player completes the game on the Normal setting or above without losing a round. The Bull is an unplayable character. Another one of the games I own for my AES. I originally bought it because I remember having fun playing Fighter's History on the SNES so I figured Fighter's History Dynamite would be a great game to buy. Over all it's not too bad of a game... not the best fighting game but, "It's not bad, I must say, it's not bad..."
Well, here's my personal take on it, lol. If i could play it like that ubove video, id probably like it alot more!! Yeah NG Man, and if you're wondering, I actually pulled off that combo, lol (since its actually me playing it). I actually like the game, despite any of the negativity surrounding it. Its fun to play and has some depth. The character design and overall art style still holds up for me and the music was occasionally catchy. I was actually quite pleased to see Mizoguchi show up in KOF MIRA. He is pretty fun in that game as well. I got this game on AES, it was a gift from SGFX. I played it once or twice, but could'nt get into it. I'll have to fire it up in the near future. Not Macro's 2D(ick), all done by hand...So you know what...THIS! Not bad. FHD is competant, with everything in proper amount and place to meet standards set just high enough to be something you'd feed a few quarters if the better fighting games in your local arcade were absent or currently occupied by other players. Data East's Neo Geo sequel to the fighter made famous for its legal battle with Capcom does nothing to redfine the genre. It doesn't try to and happily carries on the legacy of an unabashed, by-the-numbers brawler drawing inspiration from elsewhere but offering little of its own. Little else to it, really. It's FH 1 with a few tweaks and a nice new coat of paint courtesy of SNK's powerful hardware. I've only played my copy a few times after discovering some startlingly predicable AI in single player mode that was blatant enough to kill some of my enjoyment (i.e. use certain attacks in rapid succession and the CPU will fail to block on the third attempt). Visually, there are some colorful, attractive backgrounds that change with each round- a growing trend I welcome! A mixed bag of fairly generic characters. I still like Mizoguchi even though he sounds like a drunken old man attempting to speak while vomiting Jean and Clown, however, have got to go. There's enough "creepy" in the world as it is. All said, a good, quirky game often overlooked on the Neo since the platform is home to so many vastly superior games realized through higher ambition and greater effort. Still, one could do far worse than FHD. Yeah, actually I think that is where they had gotten the idea from. I remember reading something about it. Same thing goes for Fatal Fury on the ice break bonus round from in The Big Boss. Of course it would not be the first or the last that game companies will pull inspiration from movies. I really like FHD. Perhaps some of the character designs could have been better but it plays really well and I particularly love the colourful detailed backgrounds. I also like how the music speeds up when the fighters get low on energy, the backgrounds change and also how part of the fighter flashes showing they are about to become dizzy. I'd give the game 8 out of 10. 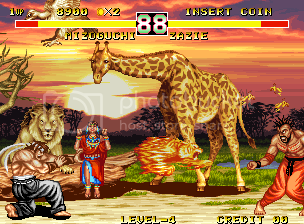 Data East's Neo Geo games are all of a high standard. 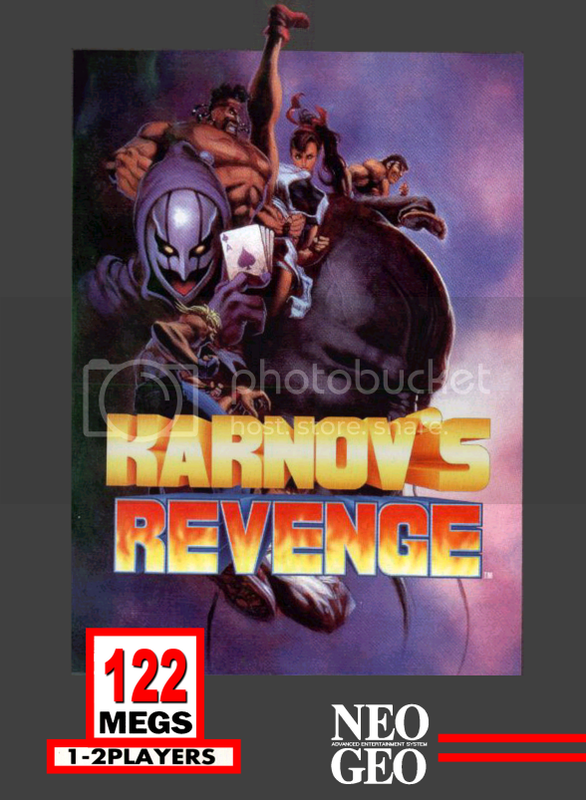 I've never been all that keen on the title 'Karnov's Revenge'. Fighter's History Dynamite sounds better and also makes more sense considering the game is a sequel. i think they called it that way because data east had an arcade jump n run that featured karnov. It was probably more well know for in the west at that time and they wanted to relate more to that game.